As part of the exhibition "Metalloobrabotka-2017" SEC of MSTU "STANKIN" will hold a complex of scientific and technical events | Federal centre for collective use<br>"State engineering centre" of MSTU "STANKIN"
On May 15th, 2017 at the Expocentre on Krasnaya Presnya will be hold the opening of the 18-th international specialized exhibition "Metalloobrabotka-2017", which will be visited by more than 1,000 exhibitors from 35 countries. The exhibition will traditionally be attended by leading domestic and foreign manufacturers of machine tools and equipment, as well as 10 national large-scale exhibitions from Belarus, Germany, Spain, Italy, China, Slovakia, Taiwan, Switzerland, France and the Czech Republic. The international exhibition "Metalloobrabotka-2017" has been held since 1984 and is the largest project in Russia and the CIS in the field of machine-tool industry, offering advanced solutions for the modernization of the Russian machine-building complex. "Metalloobrabotka-2017" as a key exhibition in Russia, reflects all the world trends in the development of the industry and its scale and commercial performance is among the top ten international industrial forums. 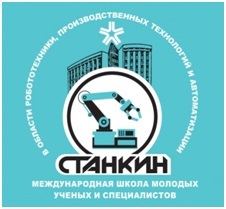 As a permanent participant of the "Metalloobrabotka-2017" exhibitions and the leading machine-building university of the country, the Moscow state technological university "STANKIN" has been acting as the organizer of a number of major events of the exhibition’s business program for several years. In cooperation with Expocentre Fairground, association “Stankoinstrument”, Russian Union of machine builders, on May 16th, 2017, at the "Metalloobrabotka-2017" exhibition MSTU “STANKIN” presents the International Forum "Digital engineering production: Problems and solutions" (DEP-2017). This forum is held within the framework of the exhibition "Metalloobrabotka" for the third time and annually becomes the central event of the business program of the exhibition. This year the forum promises to become even more representative and scientists with world names from Switzerland, Spain, Austria and Italy will take part in it. 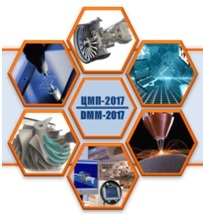 Within the framework of the Forum, leading foreign and domestic producers of machine tool products and specialists will present the latest developments in the field of production automation, additive technologies, robotic systems and others. In addition, within the framework of the international forum "Digital engineering production", a ceremony will be held to reward Russian students - the winners of the competition "Best innovative metalworking project - 2017", realized with the support of the directorate of the Central exhibition complex "Expocentre" and timed to the exhibition "Metalloobrabotka-2017". This competition starts in March 2017, and its purpose is to identify talented students studying in the universities of the country and stimulating professional growth. 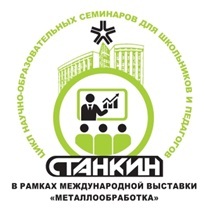 According to the results of the competitive selection in May 2017, will be determined the winners, which will be sent at practical training to the leading European organizations - partners of MSTU "STANKIN" in autumn of 2017. The most interesting student developments and projects of the winners of the contest will be presented to the attention of the general public at the exhibition stand of the same name within the framework of the exhibition "Metalloobrabotka-2017". On 17th and 18th of May, 2017, as part of the business program of the exhibition "Metalloobrabotka-2017", MSTU "STANKIN" will hold the II International school of young scientists and specialists in the field of robotics, production technologies and automation. A wide range of young scientists and specialists from various regions of Russia will take part in the work of the international school, and specially invited reputable European scientists will hold the school. Talented young scientists in the framework of the exhibition will be provided with a discussion platform to present their own researches and developments. Another event, which will be held on May 17th, 2017, within the framework of the exhibition "Metalloobrabotka" - a Series of scientific and educational seminars for schoolchildren and teachers. This event was organized for the first time at the previous "Metalloobrabotka" exhibition and attracted considerable attention of the general public both from young scientists and specialists ready to share their experience with teenagers, as well as from senior pupils and teachers of additional education. Today, the orientation of schoolchildren to the specialty of engineering and technical profile is a priority in the system of secondary education. 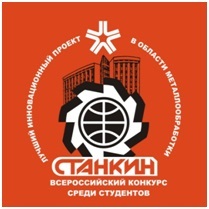 The purpose of this event is the development of the percept of Moscow schoolchildren and teachers about the achievements of industrial engineering technologies and the promising areas of their use, the development of the creative abilities of schoolchildren and the popularization of engineering education among them, as well as the upgrading of the qualifications of teachers. A separate item in the program of this event is the organization of thematic excursions to the stands of leading companies and machine-building enterprises - participants of the exhibition "Metalloobrabotka-2017". We invite scientists and specialists to take part in the events of the exhibition "Metalloobrabotka-2017" organized by MSTU "STANKIN"! Participation in the events is free of charge.